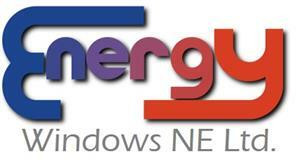 Energy Windows NE - Fascia/Soffits/Guttering, Locksmith, Windows/Doors/Conservatories based in Hebburn, Tyne and Wear. No high pressure sales, no badgering on the phone, we aim to have complete customer satisfaction all the time, and you only deal with one person from start to finish. All our UPVC windows and doors are made at our factory in Hebburn, so we have complete control of your product from design to completion. You can even call in to see how things are made. With an honest and open manner, we will endeavour to answer any questions you have about our products, or anything else you wish to know about, from technical advice to help with choosing the most appropriate designs for your home. We manufacture and install UPVC windows, doors, conservatories and orangeries across most areas of the North East, including Newcastle upon Tyne, Gateshead, Washington, Durham and Chester le Street. We also supply and fit composite doors, and UPVC roofline products.